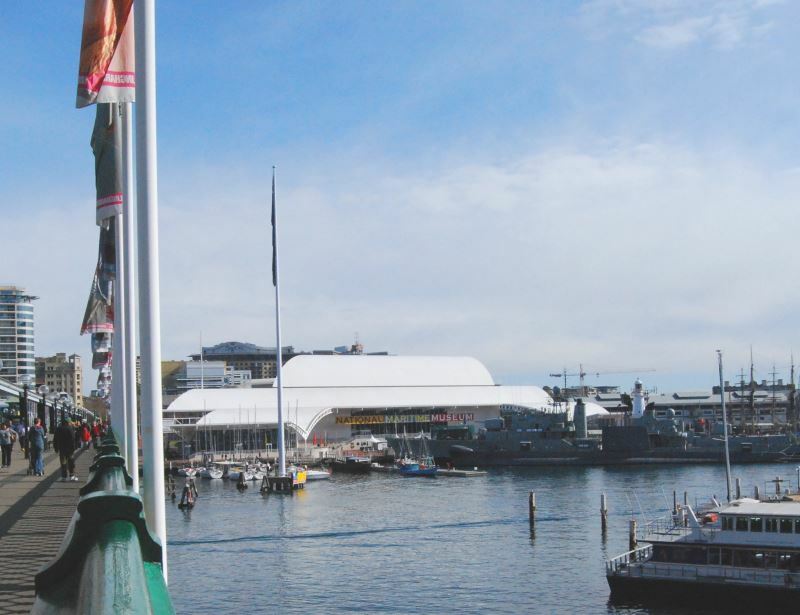 Darling Harbour, located a short walk from Sydney CBD across the Iron Cove Bridge, has a number of attractions for visitors to Sydney including the Australian National Maritime Museum. At the museum, there are ships, boats of all sizes, historical displays and changing exhibitions related to not only Australia’s maritime traditions but that of the whole world and man’s skills and technology related to the sea and their exploration. Amongst its collection of historical boats and ships it a replica of the HMB Endeavour. Full scale and built in Australia, it was carefully replicated from the original, HMS Endeavour, the research ship used by the then Lieutenant James Cook when he first charted the east coast of Australia. Another ship at the National Maritime Museum you can clamber on is the HMS Vampire. This destroyer, built in Australia, served in the Vietnam War amongst other places. You can also explore their submarine, the HMAS Onslow. If you want a closer look than you can get here, you would have to join the navy. You can sail on the Endeavour on one of its many expeditions to other ports, where they open the ship for the public. See their website Australian National Maritime Museum. See the location of the Australian National Maritime Museum and Darling Harbour in Sydney Australia Sydney City Map. Hotels in the City center include a wide range of styles of accommodation to suit most budgets.